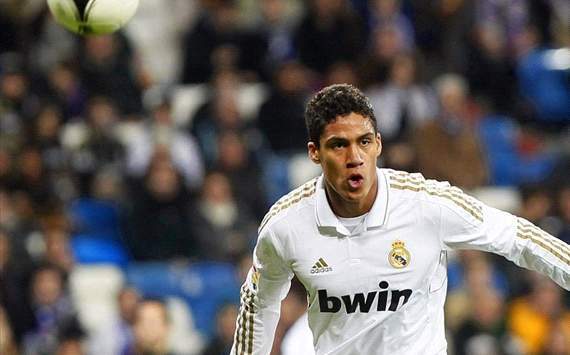 Real Madrid youngster Raphael Varane has hailed Jose Mourinho as the best coach in the world, and has insisted that the Portuguese trainer still has the backing of his players. The Portuguese has come under scrutiny thanks to los Blancos‘ disappointing form in La Liga this term, and a report in Marca earlier this week claimed that he has lost the support of key players such as Iker Casillas and Sergio Ramos. Madrid president Florentino Perez also dismissed rumours that Mourinho could be on his way out, and Varane has now offered the beleaguered coach his support, too. “Mourinho is the best coach in the world and we are all behind him. The press has been very harsh on him,” the Frenchman said at a press conference. “We are all rowing in the same direction. We gave him a signed picture of last year’s championship winning game for his 50th birthday. Madrid are currently preparing for the Liga match at home against Getafe. This entry was posted in Club news on 26/01/2013 by mirsinho.